Tips and information about investing in Philippine Stock Market, Mutual Funds, UITF, and other related topics about wealth-building in the Philippines. Is it possible for a common Filipino to became wealthy? This is the question that most Filipinos are asking themselves everyday. The answer is a big YES because if other's can then why can't YOU! Profiting in stock market investing are possible through the following: 1. Stock Price Increase or Capital Appreciation This is the main reason and the major profit driver in stock investments. Stocks that are bought are expected to increase in price as a result of the success of the underlying business of the company it represent. Theoretically, the more profitable a company becomes, the higher the stock price will appreciate. A mutual fund is a collective investment managed by a professional fund manager which are invested in stocks, bonds, money market and other financial instruments. One of the main problem I heard about investing in Mutual Fund is the availability of the Investment Company's office in some areas like in some rural areas or provinces outside the metropolis where satellite office are far. Applying to open a Mutual fund can be done through postal mail but this is troublesome. As an alternative, investing in UITF is the best solution to this problem. When I was a child, I remember my Aunt Flor bought me my first book which is entitled "Si Langgam at si Tipaklong (The Ant and the Grasshopper)" published by Adarna Books. In the story, the ant represents the hardworking and frugal person who works everday, even on bright sunshine, while the grasshopper represents the happy-go-lucky person who hop and play all day and are not worried of the future. Until one day, the rainy season starts and both the ants and the grasshopper are prevented from going out to gather food. The ant survive the rainy season because he has plenty of food stocks which he collected everday during the dry season while the grasshopper starved and eventually died. I cannot bring my money to death and so I spend it now. Other unexpected events that will require us money. Last Monday, I woke up with a very sore throat and muscle pains which became severe at night. It was followed by fever, chills and red rashes all over my body in Tuesday. Like most Filipinos, I wanted to self cure it but I know it is not a wise thing since the symptoms are pointing to “scarlet fever”. Yesterday, I take a leave at work and proceed to the general hospital near my apartment. They did several test, received an injection shots and prescribed some medicine. If you think hospitalization in the Philippines is expensive, try living abroad….that’s why we, OFWs, have the common motto…”Bawal ang Magkasakit (Getting sick is prohibited)”. 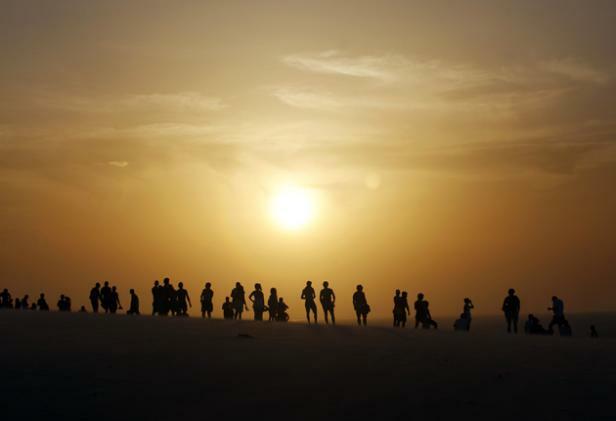 But we are only mortals which are susceptible to disease and body degeneration as we age. Even with my health insurance, I still shelled out 78,000 Korean Won or roughly P3,000. Fortunately, I always keep an emergency fund with me here (in Korea) and in the Philippines (for my family). It not only saves me from sacrificing my (and my families’) health but also saves me from worries and stress of looking for funds in case of unexpected turn of events. Whenever we received our salary, we must always set aside a small amount and keep it to grow so we can use it in the future. Let us not keep living a 1st World lifestyle while our salary is 3rd World rate. In 2 months, my work contract will expire and it is not yet certain if it will be renewed. Some of my colleagues are already agitated because losing jobs for them is like cutting the source of their lifeline. Not for me since I have live the “Langgam” lifestyle this past few years and my reserve will help me to survive in the worst case possible. Peso Cost Averaging or Lump Sum Investing? Many people are asking which investing strategy is the better option between peso cost averaging (PCA) or lump sum (LS). Let us first define what is PCA and LS. PCA- peso cost averaging is investing a fixed small amount at a regular interval or frequency. For example, investing P5,000 per month or per quarter in UITF or mutual fund. 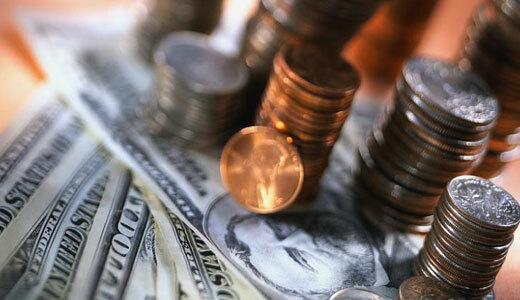 LS - lump sum investment is investing a big amount, one time at the start of the investment period. For example, investing P200,000 in 2001 then hold until 2010. As per definition above, let us see the result of the Philippine Equity Mutual Fund performance, assuming we used the 2 strategies, for the last 10 and 5 years. As you can see in the table above, both for 5 and 10 years, lump sum investment is the clear winner in investing. This only proves that long term investing, meaning holding the investment for a long period of time, will give a better result than timing the market. However, before we jump into conclusion that peso cost averaging in mutual fund is mediocre compared to lump sum investing, let us take the case of the most recent crisis period. 1. In July 2007, the Philippine Stock Market is at its peak before the 2008 Financial Meltdown. 2. In Sep 2008, the start of 2008 Financial Crisis after Lehman Brothers, a global financial firm in the US, files for bankruptcy. One of the disadvantage of investing in stocks and mutual fund particularly equity or growth mutual fund volatility and its price can dive (loss) during bear period specially during crisis. As shown above, both PCA and LS resulted to book losses during the financial crisis period. However, between PCA and LS, PCA will give you less chance of heart attack than LS since the losses in PCA are less than the one in LS. This is one of the clear advantage of peso cost averaging - more peace of mind during rough times. However, take note that above losses is only book losses and temporary. If you invest in the peak of 2007 and didn't panic during the stock market crash in 2008 and if you keep your holdings up to this period, chances are you have not only break even but also gained from your investments. As a conclusion, Lump Sum Investing is a good strategy in the long term while Peso Cost Averaging is a good strategy for those who doesn't have enough money for lump sum and are less risky than LS. If you are still confuse between the 2, just invest your money now and hold it for a long time. Because one thing is for sure, both PCA and LS are better than procrastinating or delaying your investment. After all, time is gold. For introduction to cost averaging, please read the post: Easy Investing Strategy in Mutual Funds or UITF. Philam Strategic Growth Fund, Inc. is an equity mutual fund managed by Philam Asset Management, Inc. 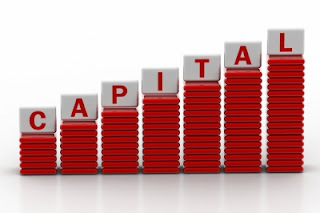 The investment objective of this fund is to provide investors with capital growth in the long run through investments in equity securities or stocks. 2% for investment amount of P1Million and above. 0.5% for more than 1 year but less than 2 years. Annual Management Fee: 1.5% (included already in daily NAVPS). 2. No amount will be withdrawn during the entire period. 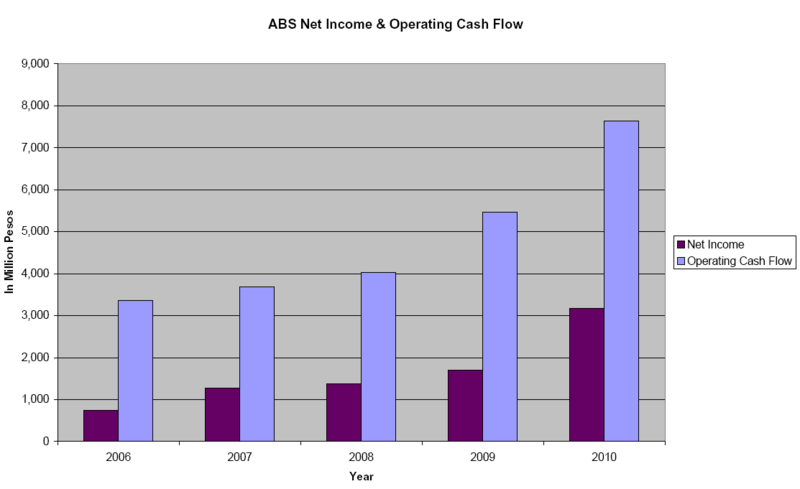 ABS-CBN Corporation or ABS is one of the information and entertainment multimedia company in the Philippines. 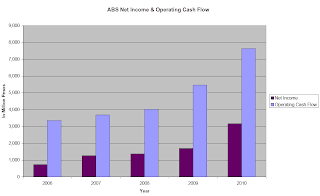 Incorporated in June 1946, ABS involved in producing various entertainment programs in multiple genres, and news programs that are aired on free-to-air TV via Channel 2 and 23. 2. Star Records - (100%) audio and video production and distribution. 3. Roadrunner Network, Inc. - (98.9%) services-post production. 4. Star Songs, Inc. - (100%) music publishing. 5. Sarimanok News Network, Inc. - (100%) content development and programming services. 6. ABS-CBN Interactive, Inc. - services-interactive media. 7. The Big Dipper Digital Content & Design, Inc. - (100%) digital film archiving and central library of content licensing and transmission. 8. Creative Programs, Inc. - (100%) content development and programming services. 9. Studio 23, Inc. - (100%) content development and programming services. 10. TV Food Chefs, Inc. - services-restaurant and food. 12. ABS-CBN Integrated and Strategic Property Holdings, Inc. - (100%) real estate. 13. ABS-CBN Global Cargo Corporation - (100%) non-vessel common carrier operations. 15. Culinary Publications, Inc. - (70%) print publishing. 16. E-Money Plus, Inc. - (100%) services-money remittance. 17. 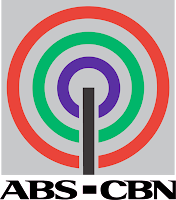 ABS-CBN Multimedia, Inc. - (100%) digital electronic content distribution. For the year ending 2010, ABS' consolidated revenue is P32.2 billion, a 30% increase from previous year. Excluding the sales on political advertisement, the company's revenue increased by 21%. 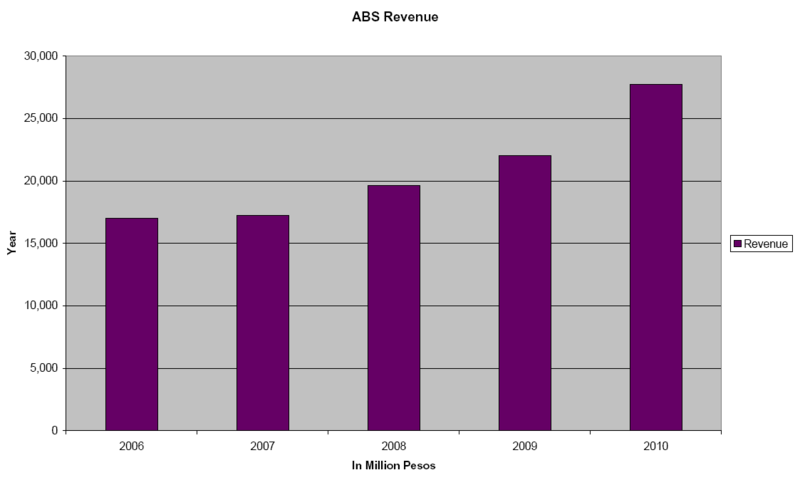 ABS posted a net income of P3.2 billion in 2010 or 87% higher than last year. For 1Q-2011, the consolidated revenue is P6.56 billion, a 15% decreased year-on-year while the net income of the company declined by 10% to P976 million compared to 1Q-2010. However, excluding the 1-time gained in 2011 due to sale of Sky Cable PDRs and election-related income in 2010, the net income would have increased bu 12% year-on-year. 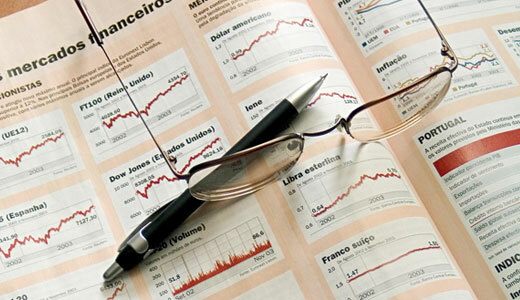 Note: For reference about ratio and stocks analysis, read here. Though leverage level is healthy, the liquidity level has to be improved since the current ration is below 1.5 which is the considered good level of current ratio. Recently, ABS distributed dividend at P2.1 per share or a dividend yield of 5.2% based on closing price of P40.45 last Jun. 06, 2011. Both GMA7 and ABS claimed that their audience shares climbed in May on higher primetime viewership. Long term buy is recommended for ABS. How Much Do You Need to Invest in UITF? In my post "A Primer on UITF", I have mentioned that UITF or Unit Invest Trust Fund which is offered by several bank in the Philippines is a good alternative to mutual funds. Also UITF is a good way to invest indirectly into various stocks, bonds and other securities at a small capital. Since the money is pooled and invested strategically in various instruments, your invesment will have sufficient diversification advantage like lower risk and higher potential return. 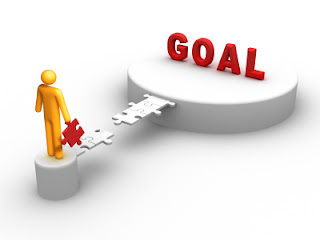 Investment is a must to reach your financial goal. Below is the table summary of selected UITF offered by various banking institution in the Philippines. This table covers only the 3 main types of UITF namely: Equity UITF, Balanced UITF and Bond UITF. Money Market UITF was excluded since it is a short term investment and considered inferior in giving returns in the long run since its normal average gain is below the inflation rate. For the definition of each type of UITF, please refer to the post "Kinds of Mutual Fund in the Philippines", since both UITF and mutual fund types are very similar. Note that the Return of Investment mentioned in the table is based on the NAVPU as of May 25, 2011. One advantage of UITF over mutual fund is it doesn't have any Sales load or Exit Fee. Also, the fees mentioned above (Management and Other fee) is included in daily NAVPU calculation. Custodian fee may vary depending on the institution but are usually very small (less than 0.5%). Take note that the same with mutual fund, it requires early redemption fee (ranging from 0.5-2%) if the investment is pulled out prior to the end of the prescribed holding period. Fortunately, most UITF have shorter holding period compared to mutual funds so we can count it as another advantage of UITF against mutual fund though this doesn't matter if you are long-term investor. If you are in a tight budget, BPI UITFs (BPI Equity Fund, BPI Balanced Fund and BPI Premium Bond Fund) is the best option since it requires both the lowest initial investment of P10,000 and lowest min transaction of P1,000 (additional or redemption). Below is the performance of the Mutual Funds of the Philippines as of end of Jun 01, 2011. It's all over the news, smoking are now banned in public places in Metro Manila and for a while it became a hot topic for debate between the smokers and non-smokers. if you smoke 5 sticks per day you will earn: P802, 876 if you quit. Did I forget to tell you that No Smoking have health benefits too? There's a question raise about my intrinsic value calculation of MPI in one of the forum. Consensus target price is P4.57 while my calculation is P9.3 which is very high(see my previous post about MPI Stocks Review here. But this is just the figure I get after plugging in the data (operating cash flow) of MPI in 2010. Remember that stocks or any asset value is equal to the present value of all the income (cash or money) it can create in the future. Discounted cash flow uses operating cash flow as the basis since it is more predictable. Net income are inclusive of intangible values and are so are more prone to manipulation so not recommended for projecting the future cash flow. As per the calculation, the stock price is P5.4. Of course you should buy lower than that. Suggestion is to buy it at P3.5 or lower (35% margin of safety). Stop pointing fingers and be responsible to yourself! These past few days I’m observing and trying to study how news are written in order to improve my skills and create a more interesting post for my blog. While doing this, I started reading the comments section of each news and I was surprised that 9 out 10 of them are negative expression. These people seem to be full of hatred and disappointment that they are venting it in the comment section. However, one thing is common about their words…they are all blaming and complaining. If we want to improve ourselves whether spiritually, financially or in other aspect, we need to focus on what can we do for ourselves. Blaming others for our misery will accomplish nothing. It will temporary vent our anger but it will consume us to the point that we can not do more productive things. Initially, I complain a lot of things and blame other people because I am poor. I hate the government for corrupting that leads to our country dwindling into poverty. I hate the companies who give very little salary. I hate the supermarket because of the inflating prices of consumable goods…Hate, hate, hate…constantly whining because I have no money and feel so miserable. But do my whining leads to improving my financial status? Definitely not. This became one of my official motto in improving my finances. I stop complaining and find ways how to improve my life. • I have low salary. I find extra job like tutorials. I work hard in my day job and my boss started noticing it and gives me salary increase. • I have no savings. I started budgeting, did cost-cutting measures and push myself to save. • I have no knowledge about investing. I do self-study about financial management, stocks, and other investment and I did it without spending. • I want to have a bountiful future. I started investing and continuously do it. Everyone has the power to control its own destiny only if they ACT. So if you feel miserable now because of your status, ask yourself what you must do to improve my life. If you find the answer then do it. You may not be able to change the world but you can definitely change your own life. 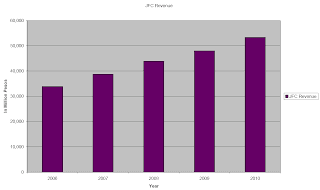 Jollibee Foods Corporation or JFC is company whose principal business is the development, operation and franchising of fastfood restaurants in the Philippines and abroad. It was incorporated in Jan, 1978 and has expanded widely since then. 1. Jollibee - the flagship business, is the fastfood chain that served burger, fries and other trademark products. By the end of 2010, there are 717 Jollibee stores nationwide and 67 stores overseas. 2. Chowking- Chinese fast food chain. As of Dec, 2010, Chowking had 400 domestic stores and 38 international stores. 3. Greenwhich - pizza parlor chain. As of Dec 2010, Greenwhich had 223 stores nationwide. 4. Red Ribbon - pastries and bakeshop. 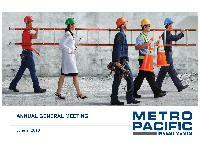 As of Dec 2010, there are 125 branch nationwide. 5. Mang Inasal- newly acquired since Nov 2010 is a fastfood whose main product is grilled chicken and Filipino food. Mang Inasala had 345 stores by end of 2010. 6. Cafe Ti-Amo - coffee and gelato brand originated in Korea. It has 3 stores now. 7. Yonghe King - fastfood chinese restaurant based in China. As of December 2010, it has 200 stores spread over 21 key cities in China. 8. Hongzhuangyuan - another chain of restaurants in China. It has a total of 52 stores as of 2010. 9. Freemont Foods Corp - a subsidiary which owns and operates the company's Jollibee stores in the Visayas and Mindanao areas. 10. Grandworth Resources Corp - a real estate company which owns or leases some of the properties used as store sites. The Jollibee Foods Corporation posted an increase in revenue of 11.3% compared to previous years. All brands in all countries contributed to the growth particularly led by those attributed by Yonghe King and Hong Zhuang Yuan in China. The consolidated net income for the year 2010 jump at a 20.5% increase versus the previous year. However because of the fast rising cost of raw materials and overhead expenses, the 1Q2011 decline by 8.8% from P691.3M to P630.6M. Recently, JFC distributed dividend at P0.50 per share or a dividend yield of 0.56% based on closing price of P88.5 last May 27, 2011. It was reported in the news (read here) that JFC increases its interest in US restaurant operator Chow Fun Holdings LLC which is the developer and owner of Jinja Bar and Bistro (a resto chain serving Asian cuisine). This will contribute to growth in the company in the future. 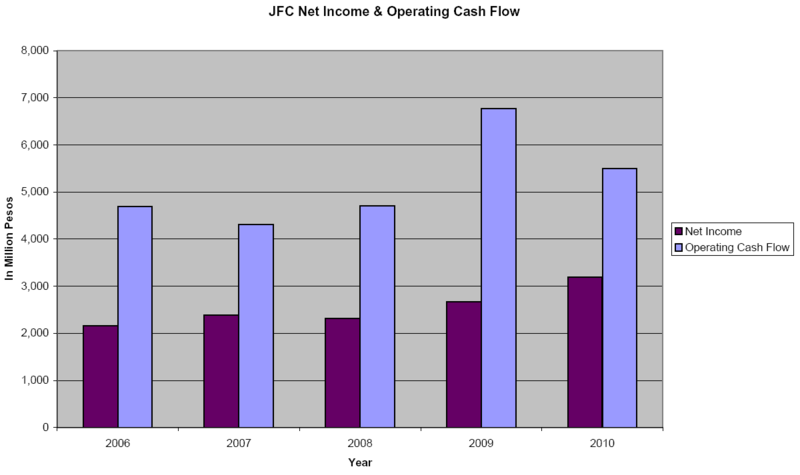 JFC is a very profitable company and it is expected to continuously do so. However, current stock price is already expensive and with the looming inflation rate hike, it is recommended to wait and buy JFC stocks at a margin when level becomes favorable. 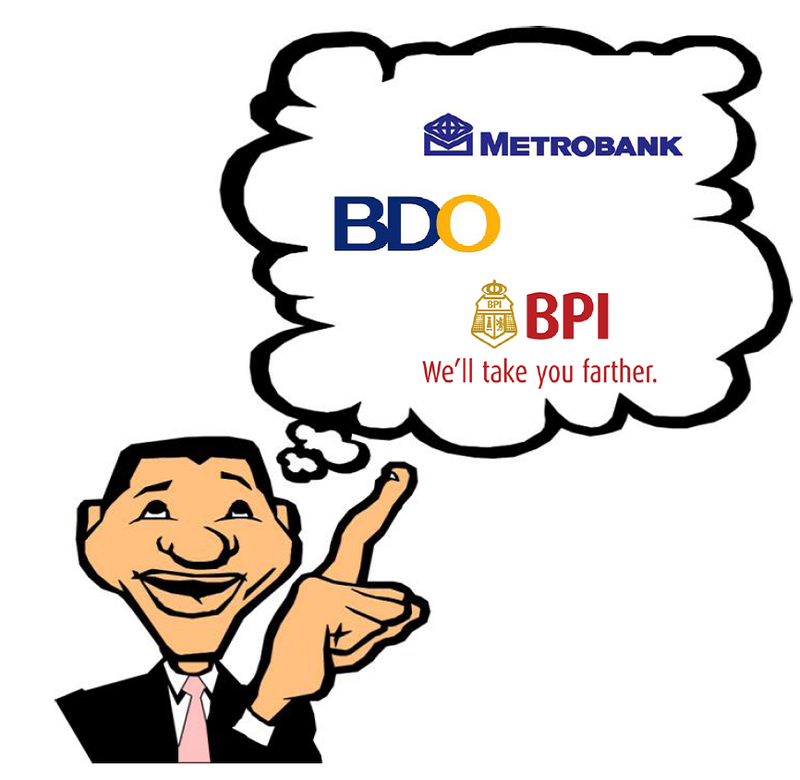 Which is the Best Bank in the Philippines for You? In the previous post entitled "Criteria in Selecting a Bank", the factors that needs to be considered in selecting a bank were mentioned. The first criteria is to choose the most credible bank. 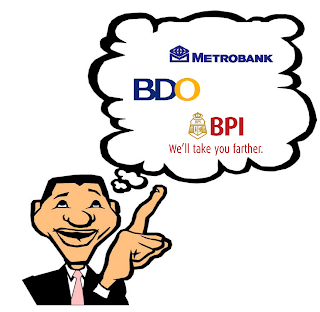 In the Philippines, the top 3 banks are Bank of the Philippine Islands(BPI), Banco de Oro Unibank(BDO) and Metrobank(MBT). 2. Dormancy fee is the monthly charge when the account becomes dormant. An account is considered dormant if it became inactive, meaning no financial transaction, for the past 24 months or 2 years. Monitoring expenses is not difficult unless you're lazy! "You monitor all your expenses? That's too troublesome....I will get crazy if I monitor my expenses," said Billy. "It's difficult at first but it became easy as I you get used to it....besides it is very important so you can see on things that you can improved in your expenses," I replied. "Still..doing that is next to impossible. I bought a lot of things in a day, how can you expect me to write them all?" "Well, that's exactly why you can't save money because you spend too much. You buy a lot of things that maybe some are not needed. Wealth-building is not zero effort." I barked back at him. This is my discussion with one of my high school friend when he asked me to help him make a financial plan. He works as an IT consultant in Singapore and his net income is above P250,000 when converted to our currency. Despite having no other mouth to feed (he is single), his credit card debts are huge that I want to slap him a thousand times just to wake up and do something about his lavish lifestyle. 1. It will help you to identify your needs which will be your starting point in making a budget plan. 2. It will make you identify items that are not needed so you can cut them back in your spending. 3. It will make you aware of the items that eats your income and yet you consider as “petty things” (e.g. cigarette, cellphone load, taxi fare and etc). 4. It will make you aware if you’re spending is already exceeding your income which means you’re entering the debt zone. 5. It will make you think twice of buying expensive things. 6. It will help you to reduce your urge to buy since it is troublesome to write it. 7. It will make you stick to your budget so you can save money for investment. 2. Keep those receipts and record it as soon as you have time. 3. Use your gadgets. Almost all people have mobile phones, some are even using smartphones. Guess what, you can record your expenses in the notepad of your cellphones. This will make your recording real time and will prevent you from missing any items. 4. Use spreadsheet. If you have internet connection, the best is to use google spreadsheet. Since it is available online, you can update your expenses table anytime and anywhere for as long as there is internet. 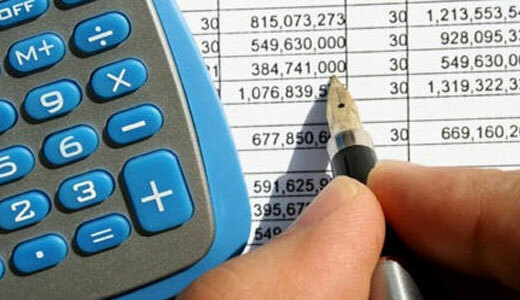 If you don’t have internet, MS Excel or OpenOffice.org Calc is a better alternative. If you don’t have computer, use a small notebook and manually write it. Take note that my mom used only the back of free calendars to write her monthly expenses. 5. Review it every month. Do this so you can evaluate your spending activities and will remind you to stop buying nonsense items and to stick to your plan to get rich. 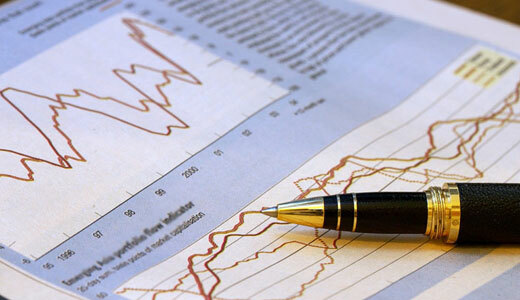 The assumptions used in review and analysis of stocks, funds and etc. are based only on historical data and doesn't guarantee future performance of the company. All investors are advised to conduct their own independent research before making a purchase decision. Please be informed that Investment Philippines is a blog created to educate people of the Philippines to learn how to invest by providing information, tips and articles for free. We are not soliciting money from anyone.